District attorneys (DAs) are more than just prosecutors. The district attorney’s job is to seek justice in criminal cases, work to prevent crime, and serve as a leader in the diverse communities they represent. The DA is also an elected official. In California, we have 58 elected DAs each representing one of our 58 counties. WHAT MAKES A DA SO POWERFUL? District attorneys in California have tremendous power to impact the lives of millions of people, their families, and entire communities. If someone is accused of committing a crime, it is not the police but the DA who has the sole power to decide if criminal charges are filed and the severity of those charges. They alone decide who is deserving of a jail or prison sentence and who will instead be routed into a diversion program to help rebuild their life, or have charges dismissed. All young people make mistakes. Your DA can push young people into the criminal justice system or give them a second chance to learn from their mistakes. No one is above the law, not even police officers. Your DA can take officer-involved shootings seriously by investigating them and holding police accountable, or they can turn a blind eye to officers who shoot and kill members of our community. Overzealous prosecution by DAs and harsh punishment caused mass incarceration. DAs can end it in California by choosing rehabilitation and prevention instead of using incarceration as a one-size-fits-all solution to crime. 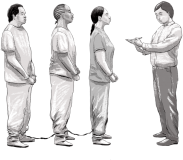 The actions of your DA can trigger deportation proceedings and tear families apart by cracking down on minor offenses like selling fruit on a sidewalk. Or they can use their discretion in a way that keeps families together. DAs should seek justice and ensure equal treatment under the law. They can make sure the right people are charged for the the right reasons, or allow the system to target people because of race, because they can’t afford a lawyer, or because they are disabled. Your DA can choose to keep packing our prisons and jails with people with mental illness and substance use disorders—that are guaranteed to make them worse—or provide more effective local services like rehabilitation and community mental health. DAs are supposed to serve the interests of the people who live in their county. DAs are public servants who not only work in courtrooms, but also affect your day-to-day life by supporting or opposing statewide policies and deciding how to spend taxpayer dollars. In the past four years, California voters have overwhelmingly supported safe and sensible justice reforms — but most DAs have gone against this tide of change. HOW ARE CALIFORNIANS VOTING FOR REFORM? 2012 PROP 36 Reform "Three Strikes Law"
DAs make difficult decisions every day that impact the lives of millions of people, including families and entire communities. Join our growing movement of Californians urging their DAs to support criminal justice reform. Sign up for important updates from our team. Yes, tell me what’s next! 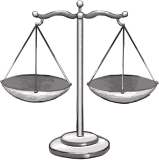 Here are examples of decisions your district attorney faces every day. What would you do? A habitually homeless man suffers from acute mental illness and in a fit of psychosis, attacks someone walking by. The attack resulted in some injuries to the passerby, including a broken finger. Pursue the maximum felony charge with maximum of four years in state prison plus a 3 year enhancement for great bodily injury. Pursue a misdemeanor charge and require mental health treatment with a goal of helping the man stabilize his mental illness, establish ongoing care and acquire housing. After 7 years locked up in state prison, this man will be released back into the community. 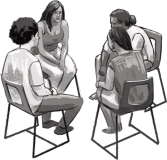 People who suffer from untreated mental illness can become stable with proper treatment and support. In addition, providing them with wrap around mental health and supportive services is far more cost effective than incarcerating them. A 40-year old man is arrested for stealing a car and selling it to support his drug habit. The car was recovered and returned to the owner. He has been arrested a few times in the past for petty theft, but this is his most serious offense to date. He has a debilitating addiction to crack cocaine and steals in order to get money to pay for drugs. What would you do? Charge him with the lowest misdemeanor offense, which will require him to pay restitution. More importantly though, send him to a community drug rehabilitation program to give him the treatment and support needed to cure his dependency on crack cocaine. Pursue the maximum felony charge of grand theft auto which carries a 3-year jail term. Addiction to substances like drugs and alcohol can ruin people’s lives and leave them with no other option than to turn to crime to support their addiction. Helping them get the treatment they need, rather than locking them up, is the best way to increase the likelihood they will be able to live healthy and productive life. Once this man is released from jail, he will have a felony record making it very difficult to get a job, receive housing assistance, or apply for loans. In addition, his addiction to crack cocaine will not have been addressed during his 3-years of incarceration. A year after successfully completing probation for drug sales, a 21 year old is again arrested for selling crack cocaine on the street. Send this young person to a mentor diversion program, where she will be paired up with a volunteer mentor who will provide her with specialized programming and supervision. Pursue the maximum felony charges for drug sales which carry a 5 year sentence, plus 3 year enhancement for the prior conviction. Mentorship diversion programs allow young people to work directly with a member of the community who can help coach them out of a future of committing crime. If the young person breaks the rules of the program or otherwise gets kicked out, the DA may then decide to pursue other charging options that could carry a jail term. This young person will be 29 when she is released from prison and have a felony on her record, making it very difficult to get a job, apply for student loans, receive housing assistance. Collateral consequences such as these ruin lives and greatly increase the chance that this person, now an adult, will commit future crime due to lack of opportunity. A 19-year old is arrested for armed robbery with a knife. This is a first-time offense for this person. Pursue the maximum felony charge which carries a sentence of 6 years in state prison. Alternatives to incarceration, such as a diversion program, give young people a chance to learn from their mistakes, reduce the likelihood the individual will re-offend and increase the likelihood of success later in life. In addition, programs like these cost less than sending someone to jail. Once this young person is released from prison, she will have a felony record making it very difficult to get a job, apply for student loans, receive housing assistance. Collateral consequences such as these ruin lives and greatly increase the chance that the young person will commit future crime due to lack of opportunity. 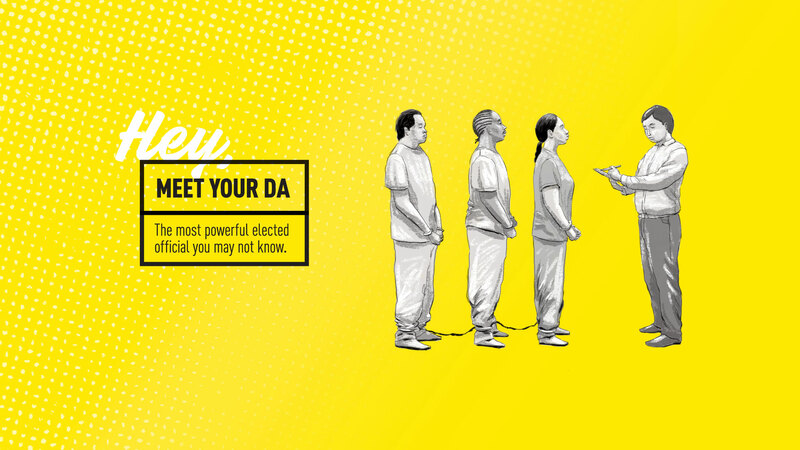 Ensuring your DA shares your values starts with getting to know them and making sure they know how the community feels about important criminal justice issues. Find out who the district attorney is for your county and see where they stand on criminal justice reform. Then, go to Step 2 to email them to say "hey" and let them know you are paying attention. Your DA for is . Many district attorneys wield their broad power in a bubble, free of accountability by the people who elected them into office. Even if you reach out and say "Hey, I recently learned about your role and am interested in what you do", it could go a long way to put DAs on notice that their community is paying attention and cares about the decisions they make. Like us on Facebook to stay informed about upcoming events, meetings and other activities in your area to say “Hey” to your district attorney. I just learned that you are my District Attorney and I wanted to reach out to let you know what matters to me and my family when it comes to justice. I also learned about the public positions you or your predecessor took on the four criminal justice ballot measures that voters in California have passed since 2012: Prop 36 to reform Three Strikes, Prop 47 to reduce some crimes from felonies to misdemeanors, Prop 57 to allow greater access to parole and address juvenile justice issues, and Prop 64 to legalize marijuana. Get updates from the ACLU and the Meet Your DA Campaign and learn about opportunities in your community to get involved. It’s up to us to hold our elected district attorneys accountable. Sign up below to get updates from the Meet Your DA Campaign and learn about opportunities in your community to get involved.